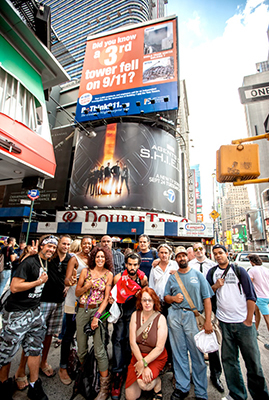 Of all the amazing projects that you have sponsored us to carry out in 2013, none was more inspiring to me than the 50-foot tall billboard towering over tens of thousands of people in New York's bustling Times Square where, on September 11th, we delivered a powerful set of speeches to the crowd of 250 AE911Truth supporters and others gathered beneath. I was also deeply struck by the massive letter-writing campaign to pressure local and global corporate media centers. 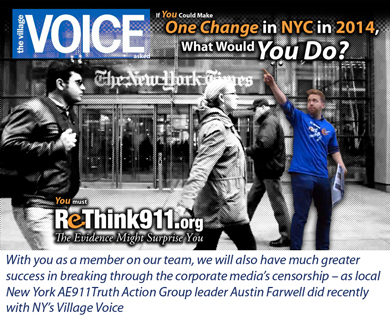 Because of your sustained efforts, New York's metropolitan giant, the Village Voice, featured the ReThink911 call for a new 9/11 investigation in its New Year's front page story about the "changes New Yorkers want to see in 2014" – yet another sign of the great effort AE911Truth supporters have been making and why you should join them today. You know that the people must be given the facts about the intentional explosive destruction of the World Trade Center and that they must be inspired to act. You know that the corporate media must be pressured and embarrassed until the censorship of 9/11 Truth cracks wide open. And, you know that only if you join with us and play your part in this historic endeavor will we be able to break through in 2014. It is not too late. 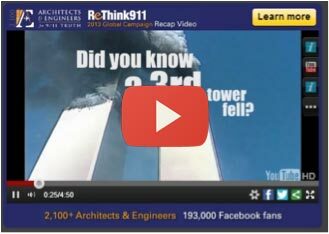 So... we will amplify the ReThink911 ad campaign in 2014: 2,100 architects and engineers cite evidence for controlled demolition in our call for a real investigation. We will strengthen that message – and we will take it, big-time, into social media – and onto YouTube as advertising – targeting A/E's, students, politicians, media reps, etc. – where Building 7 will be seen by millions on their own computers – coming down at free-fall. We can do it, and we can make it go viral on the internet, if we work together as a team. 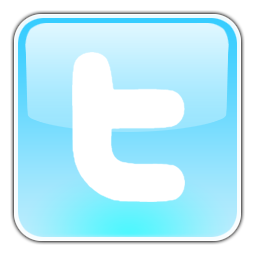 So we created a way to make it easy for each of you to join us today. 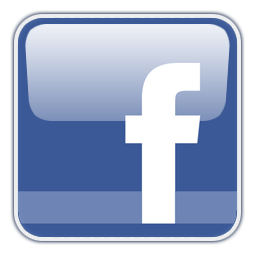 Now, every one of our supporters (including you!) can be a Member, because we have a level of support for all - you can join us for as little as $2.50/month! And, you will also receive a free gift from us! You see, it is the numbers of supporters that will make AE911Truth successful – not a few large donors. We need hundreds of members to ensure our success in 2014. If just 10% of our supporters each joined us at the $5/month level we would be able to cover the main metropolitan areas of the US with billboard ads, educate thousands of elected reps across the country, and effectively reach out to most architects and engineers in the country with the WTC 7 dilemma. This puts your valuable resources into the most positive action. This empowers you to change the world. This is why it is your time to Join Architects & Engineers for 9/11 Truth.